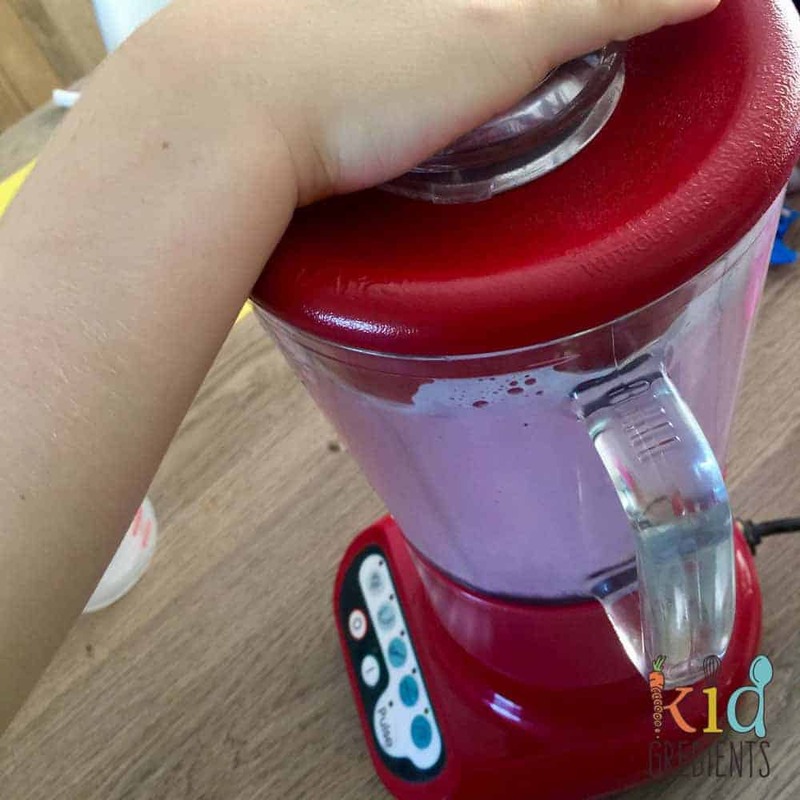 You are here: Home / Recipes / Cooking with Kids / Banana berry smoothie – perfect for making with kids! This extra simple, super yummy banana berry smoothie has become a favourite in our place. 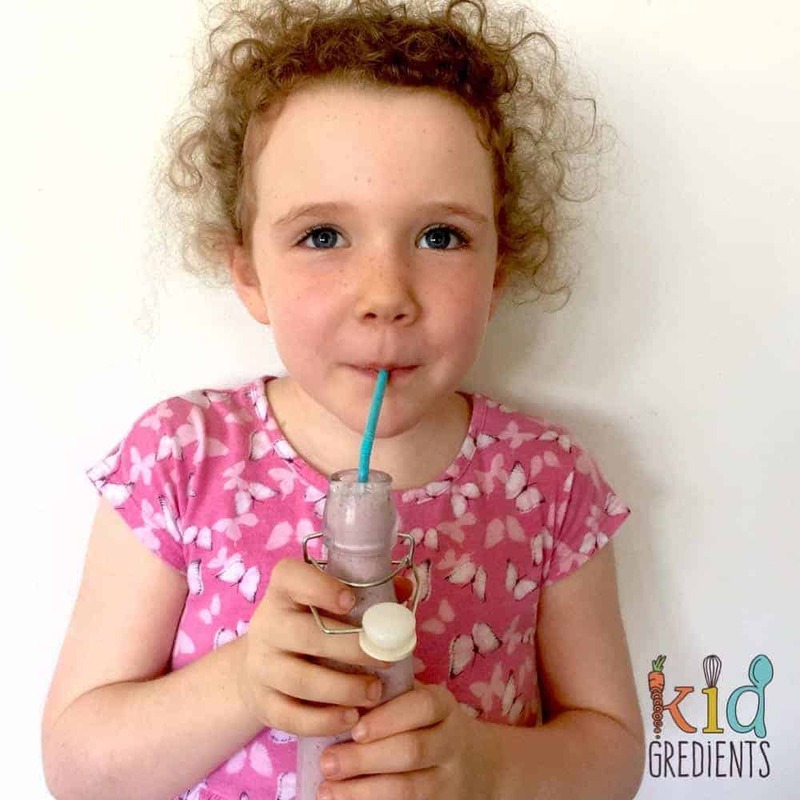 Miss 6 even made it her news at school this week and there is a printable simple procedure text at the very bottom of this page that you can print off for the kids to follow for the recipe. 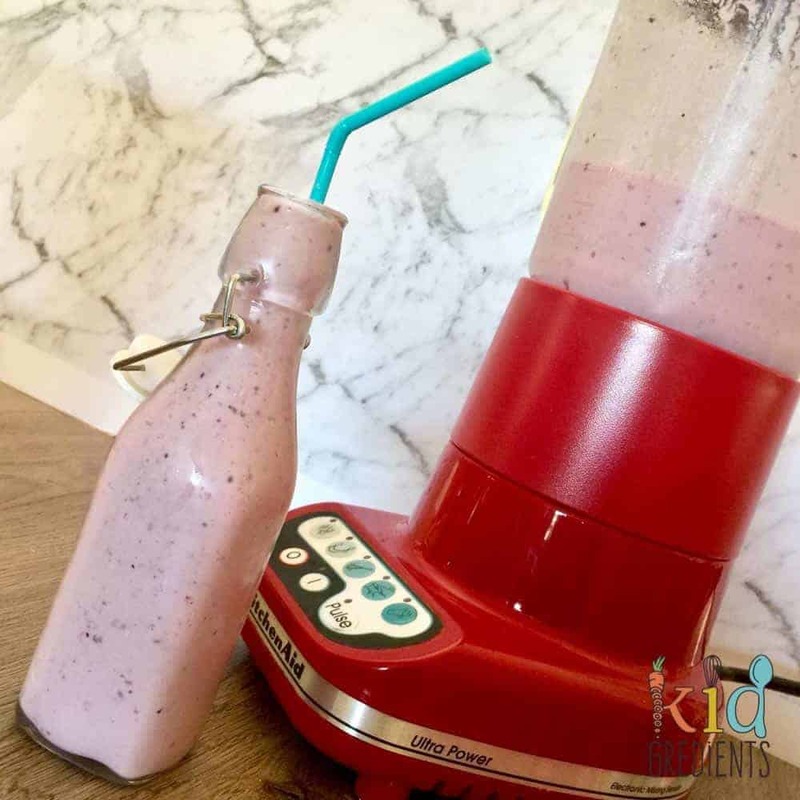 Smoothies aren’t a breakfast food at our place and they aren’t an every day thing either, because my kids eat a wide variety of fruit and veg, I tend to keep them as a special treat and make them in the afternoon rather than everyday. They are great for a quick recharge before heading off to activities or before conquering homework. Pop them in a drink bottle and they can go with you in the car! Using frozen berries helps to compensate for the room temp banana, because nobody likes a warm smoothie! If you’ve been following for a while you’ll probably wonder why there is store bought yoghurt in the photos, when I normally make my own. And the short answer is: when your child tells you that news needs to be a procedure text on a Sunday morning…you go to the shops! This smoothie easily serves two and is delicious. The chia seeds are barely noticeable as the berries have little pips in them too, and they add a bonus bit of extra protein and fibre to the smoothie, meaning it’s not all just yum, there’s goodness in there too! 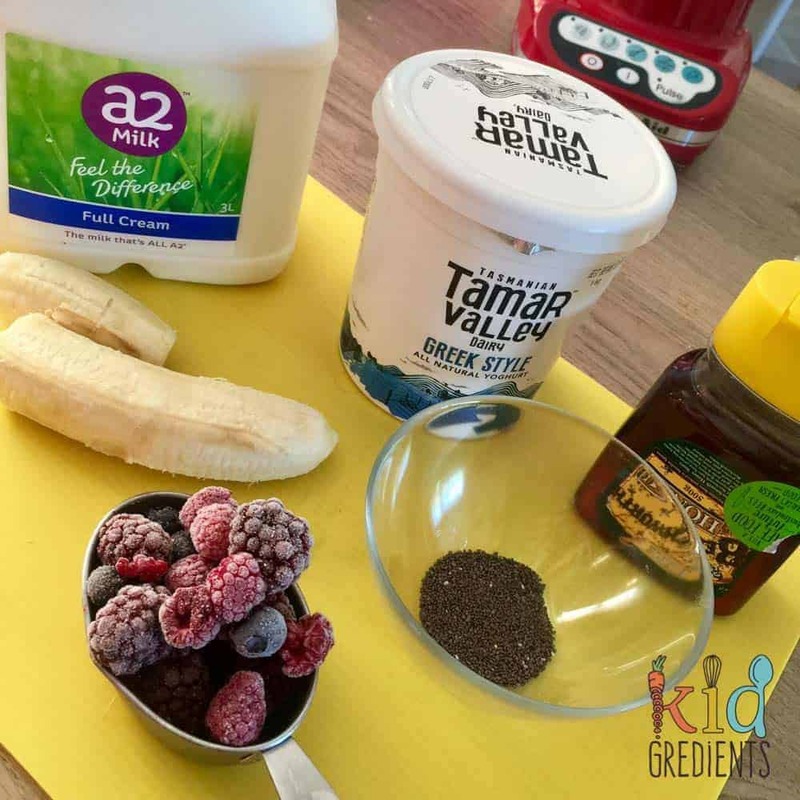 If you are packing breakfast for kids, then this smoothie would be perfect for popping into a yoghurt pouch and taking with you. 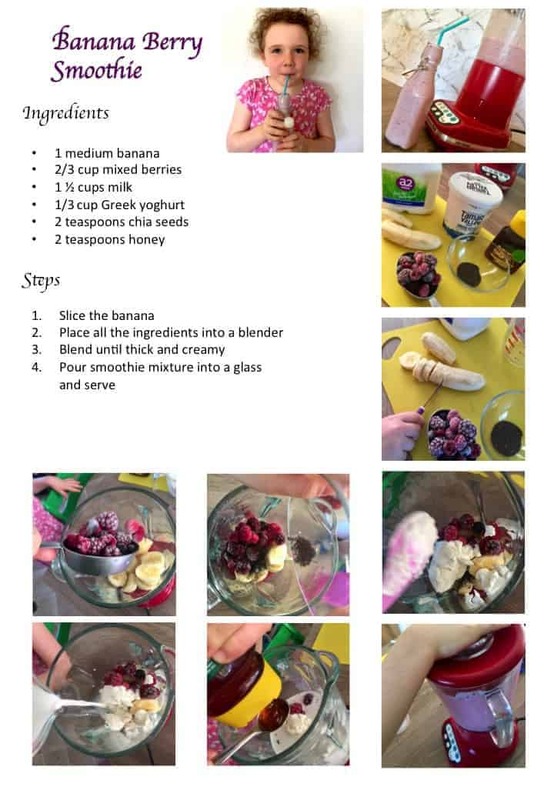 I don’t let Miss 6 make this on her own… (hello…blender!) but I supervise and she does all the work. If you use a kids knife, then it is a good way to work on hand eye coordination and to foster cooking independence. 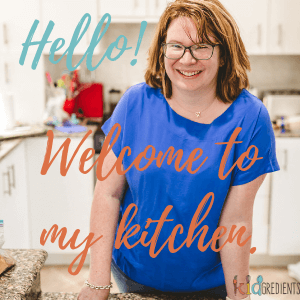 Right click this image to print off a kid friendly recipe card! Pour mixture into glasses and serve. Hi Dorothy, the colour and consistency might change, but otherwise yes!